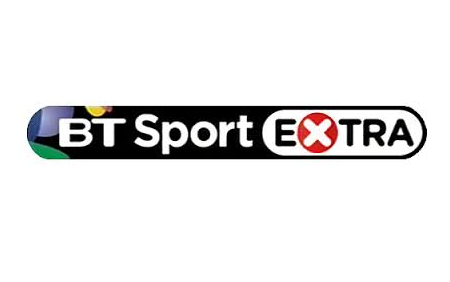 UPDATED | Ahead of the start of the football season, BT has added its Sport Extra channels on satellite and BT TV. BT Sport Extra 1-7 have been allocated channels 450-456 (SD) and 465-471 (HD) on BT TV, but are still testing ahead of their official launch. On satellite, where the service will be available to viewers with BT Sport on Sky, the channels are only in standard definition. As previously announced by BT, Sky viewers will only see six of the seven Extra channels, which will be accessed via the red button when viewers will be able to select alternative Champions League matches. Meanwhile, the inclusion of Eden, Good Food and Home that launched on BT's YouView service on Monday appears to have been a mistake, or at least premature - viewers reported having lost the channels again on Tuesday, and the channels haven't been seen again. All three channels first appeared on some BT YouView EPG's several weeks ago in an apparant test, but couldn't be accessed until Monday, when some BT TV viewers were reportedly prompted to add the new channels. BT has not commented on the issue, which has annoyed some subscribers. Not sure if you're refering to BT Sport Extra on BT TV, if you are, users are telling me a reboot/retune is producing the channels on their YouView box.